» FFVI: That’s a Lie! In denial, or does she really not remember it? 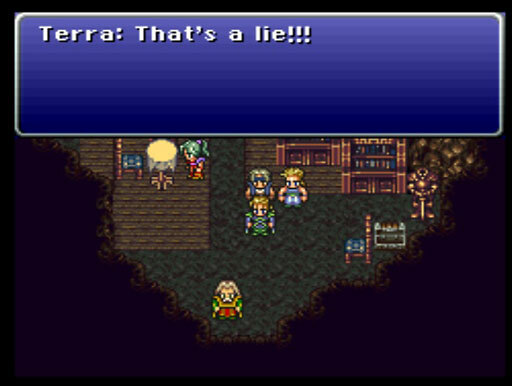 It’s good to see Terra being assertive, even if she’s tragically mistaken here.